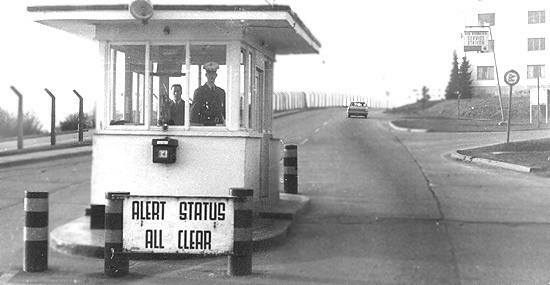 A view of the Sembach Main Gate, Circa 1966. This was the location of the first job at Sembach for this site's webmaster back in 1966. Original Photo provided by Conrad Lippincott.